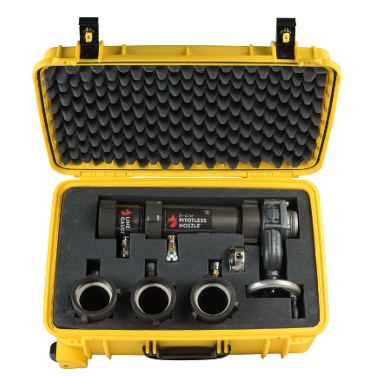 This bundle includes all three sizes of the In-line Pitotless Nozzle Kit, capable of measuring 86 GPM to 1432 GPM. 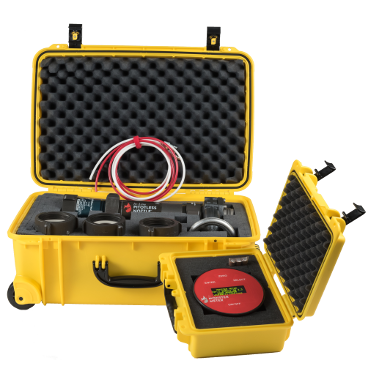 Please be advised that Gauge Calibrations require up to 7 business days. The In-Line Pitotless Nozzle measures water flow-rate from a hose valve, pressure reducing valve, hydrant nozzle, between two lengths of 2.5” hose, or just about any 2.5” outlet. 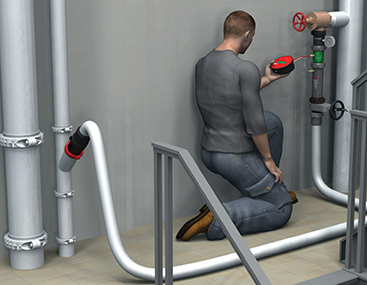 Hose or piping can be attached downstream of the unit without affecting the accuracy of the readings. As an in-line flow meter for fire pumps. Pitotless Nozzles™ (Threaded). Sizes 1⅛”, 1 ¾”, and 2”. Monster Meter™. 0.3% full scale accuracy rated; 0-250 PSI. Gauge Tubes. Two ¼” x 12′ tubes w/ push-to-connect tube fittings and male quick disconnects. Discharge Valve. 2.5” NH Slow close valve for controlling water discharge. Included in kit. Optional depending on application. Line Gauge. 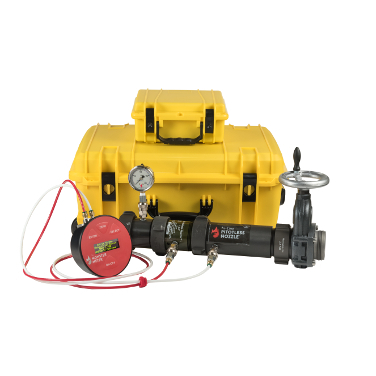 0-200 psi, 2.5″ dial, 1% full scale accuracy rated. Measures the static/residual pressure during a flow test. 2.5” Stream Shaper. To minimize hose-burn. 45° Elbow. To angle the hose or the In-line Pitotless Nozzle to meet job conditions.